Fullerton Junior College is the oldest community college in continuous operation in California. Its operator believes that the elimination of the word “junior” from its name will confer academic status on the institution, and hence, themselves. So Whatever Happened to Dino Skokos? 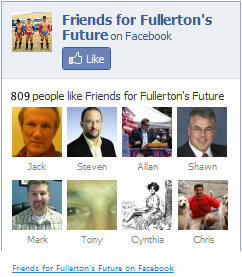 How does Joe Felz manage the great city of Fullerton? Here at FFFF we like to share. So we share this – a time lapse clip we harvested off of youtube – of one of the embarrassing erections that has gone up lately at FJC: Now why did they have to go and spoil perfectly good music by Aaron Copeland? Fullerton Junior College Subjected to More Horrors! Did NOCCCD Bond Oversight Committee Overlook Stadium Embarrassment?